The Original. Number one choice among emergency, medical and security professionals. 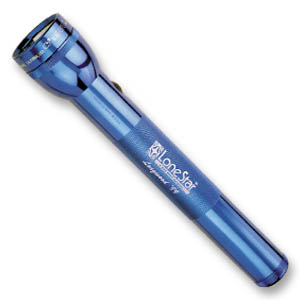 3D Cell Mag-Lite® Flashlight. 12 3/8" Length. 3 "D" Batteries not included. Comes with a spare krypton bulb.Laser engraved in white. 25 1 color(s) imprint at $794 ONLY $31.76 each. 50 1 color(s) imprint at $1,495 ONLY $29.90 each. 75 1 color(s) imprint at $2,153 ONLY $28.71 each. 100 1 color(s) imprint at $2,848 ONLY $28.48 each. 125 1 color(s) imprint at $3,543 ONLY $28.34 each. 150 1 color(s) imprint at $4,204 ONLY $28.03 each. 250 1 color(s) imprint at $6,727 ONLY $26.91 each. 500 1 color(s) imprint at $13,389 ONLY $26.78 each.